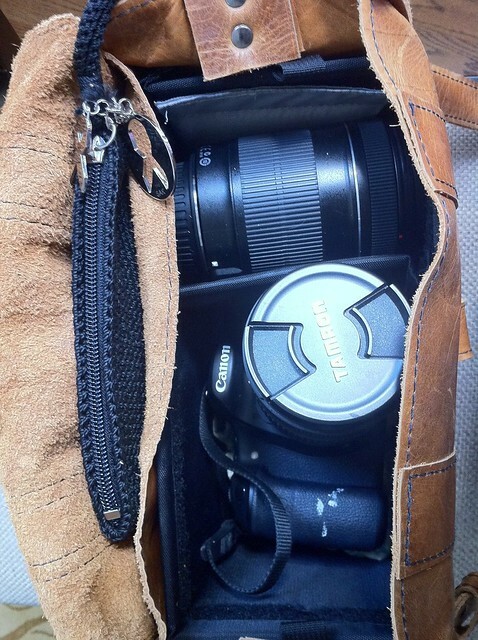 For years I’ve been searching for the perfect camera bag. Since I became a hobby photographer I’ve considered buying quite a few bags, but none have ever spoken my name and made me feel all giddy inside. I’m not a girly girl, you see, so while I thought all the Lolas and Gracies and Millies that are advertised as “camera bags for ladies” were pretty, I never could pull the trigger on one. I didn’t know exactly what I wanted in a bag, but I knew I’d know it when I saw it. And then one day it appeared. 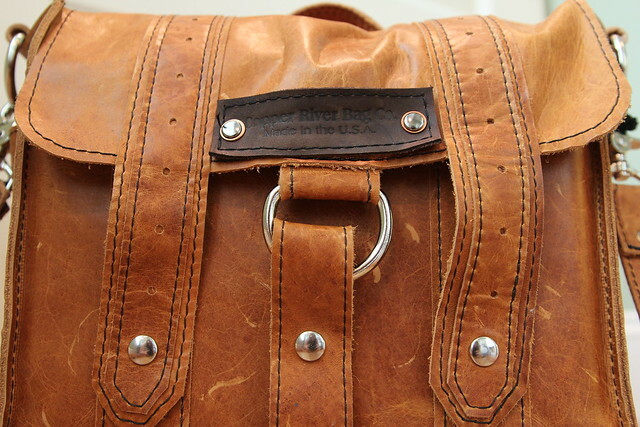 The Copper River Camera Bag. My perfect bag spoke my name. I randomly happened across it while on twitter one day. Someone retweeted about a giveaway from Balancing Home. As soon as I clicked the link I INSTANTLY fell in love with this bag. I showed it to my husband, and after a little bit of begging, it magically appeared at my house just in time for Mother’s Day last month. Thank you, husband, for being so attentive to my needs. Top grain leather worn to perfection? 100 year warranty? Super sturdy hardware buckles? A sturdy strap long enough to cross-body? I feel like Clint Eastwood with this bag on my shoulder. Or a National Geographic photographer. Or Clint Eastwood playing a National Geographic photographer in Bridges of Madison County minus all those adulterous parts. AND it’s made in the USA? Here is a cameraphone shot of the interior. I added a little zipped wristlet to carry some SD cards since that’s the one thing it’s lacking is a zippered storage pouch. I also took the padded insert dividers from my old camera bag and made a double layer of protection for my lenses, just in case. I’m clumsy. I need extra protection. Speaking of clumsy…please tell me I’m not the only DIY blogger out there who has paint smeared on her dSLR? This bag will be accompanying me to the Haven Conference on Wednesday. Feel free to run up to me and give it a stroke or two. Well, now I’m in love too! That’s gorgeous. I have a backpack for my camera and lenses, but it’s not real easy to get the camera in and out of. BTW, I had cement on one of my lens covers from when I made some hypertufa planters last month. It’s the sign of a blogger, I think. Wow, that bag is one gorgeous bag! That is SO beautiful! I like the fact J can carry it too and not look too silly! @ Al- Yes, that’s an added bonus. He wouldn’t like carrying a frilly one around, that’s fo sho. Love your bag Beth, I really like the worn look to it, I bet it’s really soft too! I would love to stroke it! It looks so Madison Co. love that book/movie! I’m grinning just thinking about Haven! I can’t wait, I might see you at the airport too! I’m picking up some ladies! 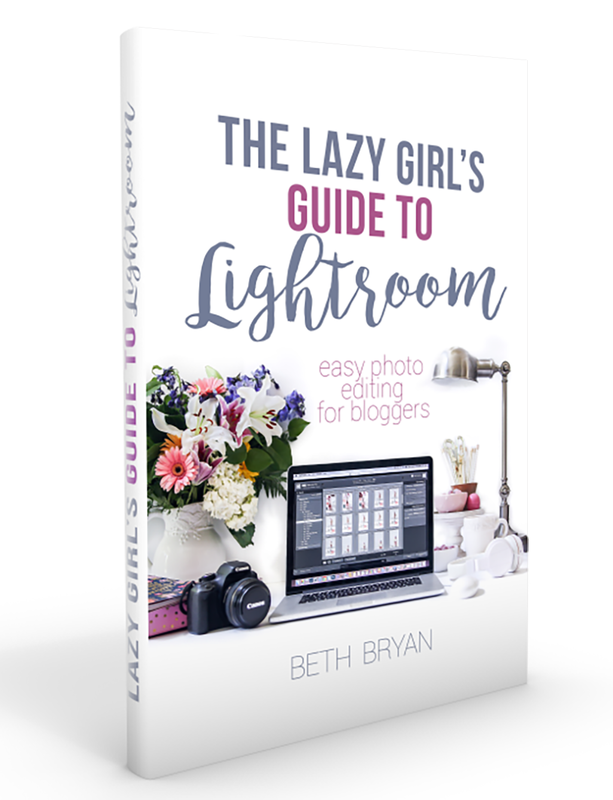 Found your blog from YHL and really enjoying reading through your posts! 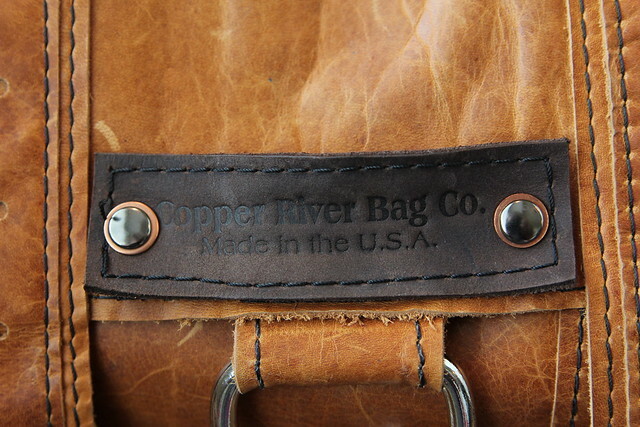 Also, I have friend who works for Copper River and have been lusting after their bags for a year now. Very nice stuff! Hi got a couple questions 1)What size bag did you get, the 10″ or 14″ and 2) which style, the Newport voyager, midtown or mission? TIA the bag looks awesome! Lastly, how has it held up? Do you wish you went with a different or bigger style? I have two CRB’s, and the larger one is so huge that it’s honestly a bit of a pain to carry. I rarely use it. I have taken this one EVERYWHERE, though, seriously, I never travel without this bag crossbody over me. It’s been to Disney several times, and Canada, and all sorts of fairs and festivals where i can store things in it for the day. It is my most favorite bag of all time. 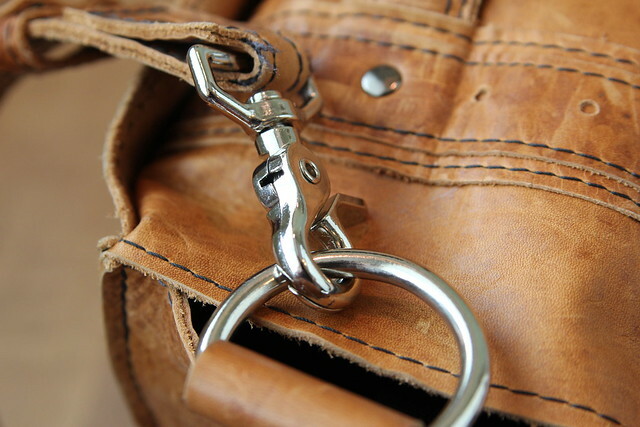 It’s held up like a dream, since the leather just gets better with age. I have had crayons melt in it and spilled all sorts of stuff on it, but it just gets better looking, in my opinion. 🙂 I adore this bag with all my heart, and would recommend it forever! Happy holidays! Wow thanks so much for a speedy reply! I have a newborn as well which is why I was wondering about size and could be swayed with way. I love the portability of the 10″ (the one you have). Do you upgrade to the leather straps too? 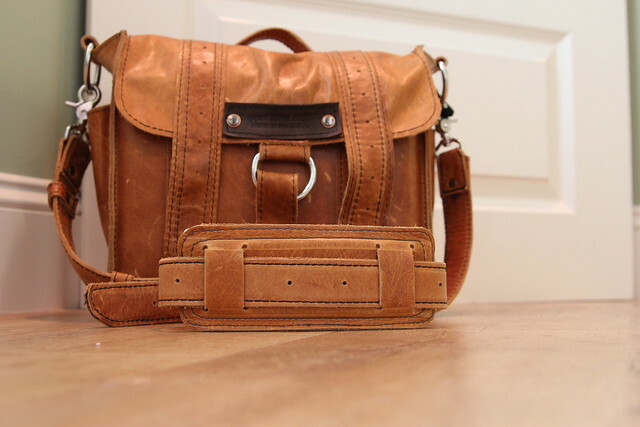 I’m thinking of getting myself a camera bag and a work bag for hubby! Any additional thoughts that would be appreciated. Thanks so much!